Bill’s Custom Concrete & Yard Drainage is based in Oklahoma City, Oklahoma and has been providing the highest quality concrete solutions since 1976. Our mission is simple, to provide the highest quality concrete and drainage services to our customers. Our attention to detail belies our commitment to our customers. Our business was established in 1976. We are fully Insured, Licensed and Bonded. We view each customer as a unique partner, with individualized needs and tastes. Our primary goals are to listen to your needs and to fulfill them to your satisfaction. We urge you to ask anyone who has used our services – and please, if we have met your expectations – feel free to tell a friend about us! Because of Oklahoma’s intense clay ground movement, freeze-thaw winter cycles, droughts, rains and floods, concrete and drainage solutions should be done only one way, and that’s the “right way”. After over forty years of work, study, and research, and thousands and thousands of jobs all over the metro Oklahoma City area, we know how to do the work the “right way”. Our work speaks for itself!!! Please call us today at 405.755.3975 for your free consultation. 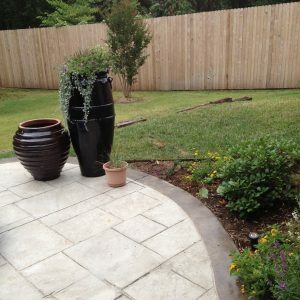 We look forward to helping you with all of your concrete and yard drainage needs.